How did we get here? 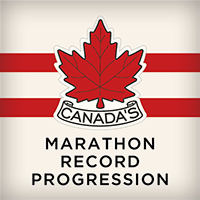 Follow the progression of the Canadian men’s and women’s marathon records. 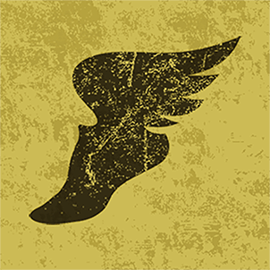 Continue reading "Canadian Marathon Record Progression"
As of September 5, 2018, 56 Canadians have officially run the mile under four minutes. Continue reading "Canadian Sub-4 Milers"
All-time sub-1:04 half marathons by Canadian men. 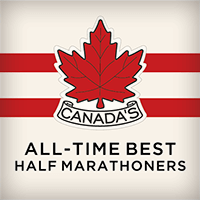 Continue reading "All-Time Top Canadian Half Marathon Times"